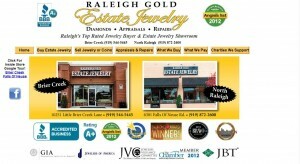 Raleigh Gold Jewelry address, phone, website, hours of operation, and more. Fine & Designer Estate Jewelry by David Yurman, Tiffany & Co, John Hardy, Cartier and others. Jewelry Repairs and Appraisals Done here by our 100% GIA educated staff. We proudly stand behind the authenticity of our goods. Since we have chosen not to be an authorized dealer, in many instances these goods were not obtained directly from the designers but rather have been purchased from reputable dealers or from private estates. 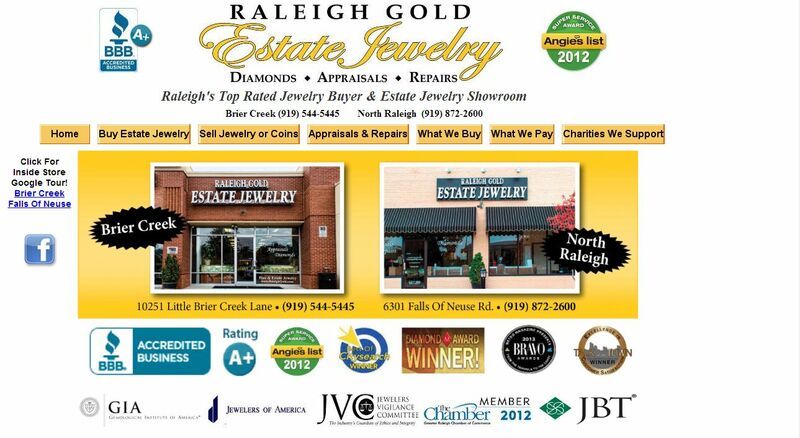 In this regard, Raleigh Gold Jewelry expressly disclaims any indication that it is an authorized dealer or agent of any of the designers whose goods are offered in our stores.